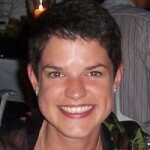 Dr. Maddy Parsons is a Reader in Cell Biology in the Randall Division at King’s College London. She started her lab 9 years ago following the award of a prestigious Royal Society University Research Fellowship. Upon its completion, she was awarded tenure at King’s. In addition to being highly experienced in biochemical, cell and molecular biology techniques, Dr. Parsons has over 14 years of experience in the use of different forms of advanced microscopy; indeed, an overarching feature of her research is the development and implementation of state-of-the-art imaging techniques to analyze protein dynamics, interactions and activation status in live cells. Dr. Parsons works closely with both biophysicists and clinicians in her research and has a strong commitment to multidisciplinary research, training and education. She is also founder and Director of the recently established Nikon Imaging Centre at King’s College, which houses 13 microscopes ranging from super-resolution to multi-photon platforms. Dr. Parsons regularly speaks at national and international meetings, teaches at academic workshops and actively contributes to outreach programs for schoolchildren and undergraduates. She has served as an Editor on The International Journal of Biochemistry and Cell Biology (IJBCB) since 2010. She joined initially as a Section Editor and since 2014 has also taken on the role of Reviews Editor. 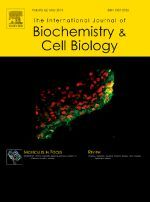 IJBCB has an Impact Factor of 4.24 and publishes 12 issues per year. In 2014, it attracted 620 new submissions and had a rejection rate of 45 percent. Q. What does being a journal editor mean to you and what do you find most rewarding about this role?A. I feel extremely privileged to be an Editor at IJBCB. The position has given me the opportunity to experience a much broader scope of high quality biological research that goes well beyond my own field of expertise and has opened my eyes to many new fields and concepts. I have also had the pleasure of interacting with other Editorial Board members and learning from their experience, which has been extremely valuable. As Reviews Editor, I also have the opportunity to find new or emerging fields and then commission articles that capture their essence with a view to conveying this excitement to a broader audience. Helping to facilitate the provision of such a platform for delivering new and important concepts in biological research is extremely rewarding. Q. What are your biggest challenges as editor of IJBCB? How do you overcome these challenges and what extra support can Elsevier provide? A. I believe one of the most significant challenges in scientific publishing is identifying and securing appropriate reviewers for submitted articles. Elsevier has now provided much-improved online tools for editors to be able to search for reviewers. However, there is still certainly room to improve on these, as well as ensure the database of reviewers is being updated and maintained for accuracy. Unfortunately, there are no magic tricks available to make sure reviewers submit their comments on time! The other big challenge is to identify what you think will be the next big hot topics in biology and try to get ahead of the game on commissioning reviews. It is very clear that an excellent review article can command substantial citations for a number of years, so it’s really worth investing time and energy into understanding what the emerging areas are within different fields. A. The peer-review system is obviously the foundation of scientific publishing, but it seems a number of fields and journals are starting to adopt slightly different variations to ensure it is a fast, fair and transparent process. Whilst this is not necessarily an immediate solution to the lack of willing, good reviewers for papers, I do think using non-anonymised, published reviews makes the review process more fair and the reviewers more likely to think twice before submitting unreasonable, non-constructive or biased comments. However, this is still relatively controversial and such a step change will likely take a while to take hold across all journals. Post-publication review or online commenting can also be an interesting way to gauge opinions in the field on new papers or ideas, although my own view is that this should only occur after a rigorous peer-review process has already taken place and the paper is published, not as a replacement for peer review itself. A. I think this is an inevitable consequence of the move away from paper versions of journals. I do think it’s a shame because it discourages researchers from reading articles that are not necessarily directly in their field, as you might do if you were flipping through a paper version of a journal. This is particularly important for PhD students as they can otherwise tend to lose sight of the ‘bigger picture’ in science. Interesting editorial pieces and comments can also easily be overlooked when reading material online, but these can be very valuable sources of information. My impression is that the homepage of any journal is the most important thing to get right to combat this problem; if the content is well highlighted there, then people will be more likely to link through to read it. Otherwise the risk is that a lot of articles get lost in the increasingly enormous and often intimidating volume of data that is already out there. A. Open access is incredibly important in the UK; indeed, most funding agencies will now only support research that is published in this format. In future, the government review of University research will also only take into account open access publications for their audits, so everyone is now encouraged to ensure their research is available to as many people as possible. The only real barriers to this being standard practice are the policies of the journals and the cost to the authors. Many journals add a significant charge on top of any other publication costs for OA, and many authors feel this is an additional luxury they cannot afford. This is a particular problem in the UK, because the Research Councils no longer allow publication charges as an admissible cost on a grant application so funds have to come from other sources, which can be difficult. I strongly believe that all journals should offer an immediate open access option at an affordable price. Whilst this may be difficult to reconcile for the publishers financially, I think the increasing number of successful new open access, online-only journals will force ‘older’ journals to re-think their strategy. A. Impact Factor is still a very important metric to most researchers as it ultimately provides a very useful guideline of the ‘visibility’ and quality of a given journal within the scientific community. Clearly this has flaws; the Impact Factor does not always reflect the scientific quality of publications per se, and often can be greatly skewed by the size or global popularity of the field of research. Nevertheless, it is one of the measurements that people look to when choosing where to publish their best work, and I suspect it will continue to be so for a while yet. A number of new journals have attempted to discourage or move away from using the Impact Factor to measure their success. Whilst these journals do not refer to it themselves, the irony is that Impact Factors are automatically assigned to them anyway. There are other combinations of measurements out there that might help better reflect the true impact of articles within a given journal, but for now, the Impact Factor seems to still be the one most people care about! A. I think the ease and accuracy of navigation coupled with the visual impact of a journal website can play a big part in attracting and retaining readers. Providing quick one- or two-sentence summaries of key papers published that month, or striking images of recent research articles can make a big difference to the impact of that paper, and having the information in an easily digestible format to begin with certainly helps to encourage people to look at the full paper in more detail. I think graphical abstracts can also be great visual aids, although these only work if a relatively ‘simple’ message is being conveyed in the paper otherwise they can appear a bit too chaotic to be useful! The inclusion of more interactive media such as movies or 3D image projections is also really useful to boost online visual impact. Q. Do you use social media or online professional networking in your role as an editor or researcher? Has it helped you and, if so, how?A. I’m personally not a big fan of Facebook, Twitter, LinkedIn etc. Of course, I fully understand that they can potentially be powerful platforms to disseminate information quickly for publishers and authors, as well as to make new contacts, but equally I think they can often be a significant distraction from daily life. I’m a huge fan of face-to-face contact; personal interactions - particularly in scientific research - are a really important part of learning and collaborating. I often mention my role as Editor when discussing new and exciting work with poster presenters at meetings to encourage them to submit to IJBCB. I also take the opportunity to meet with people that I believe might be keen to write a review article on a new or exciting subject. So whilst I recognize social media can be useful for getting across short, sharp snippets of information, I don’t think it can ever really reproduce, or replace, that kind of personal interaction. A. I think the next 10 years will see print journals completely disappear and a total move to online content. I suspect we will also start to see more ‘interactive’ publishing methods to engage readers in the research or subject matter being discussed. For imaging-based data, something we handle a lot in my own lab, online publishing offers the opportunity to present complex time and Z-dimension datasets in their full, unadulterated glory. Similarly, structural biology studies benefit enormously from this kind of publishing media as the reader can interact with different angles and zooms of the structures being presented without the need for additional costly software. I think all journals in the world of cell biology, including IJBCB, will need to adapt to accommodate the ways in which scientists consume scientific publications in future. The increasing recognition that most material is now read online also makes the issue of open access all the more important. An inevitable consequence of online publishing is that the volume of publications released to the community is exponentially increasing. This can be frustrating for researchers, as the volume of material in their field is sometimes unmanageably large and very difficult to navigate, particularly for new graduate students. Moreover, the increased volume of data often appears to negatively correlate with data quality, which is a significant concern. This places the onus back onto journals, both new and long established, to ensure any data released as a publication is rigorously peer-reviewed so quality can be assured. A. As I’m an academic, I have found the biggest challenge is ensuring I devote enough quality time to the editorial process on top of the day-to-day lab management, teaching, grant and paper writing, and endless meetings. One thing I have learned, which sounds obvious, is to try to be as super-organised and efficient as possible, and to use your time wisely. For example, when I’m invited to speak at meetings I usually try to use it as an opportunity to seek out new subject areas for review article commissions or encourage primary research article submission. I also seek advice from collaborators and colleagues after meetings on their ideas or suggestions for emerging hot areas we can tap into. As an author myself, I also like to try to ensure I have personal contact with the authors of articles I oversee and also to do everything in my power to make the editorial process as transparent and fast as possible. These are things I value as an author, and hopefully they make the experience of publishing in IJBCB an enjoyable one!